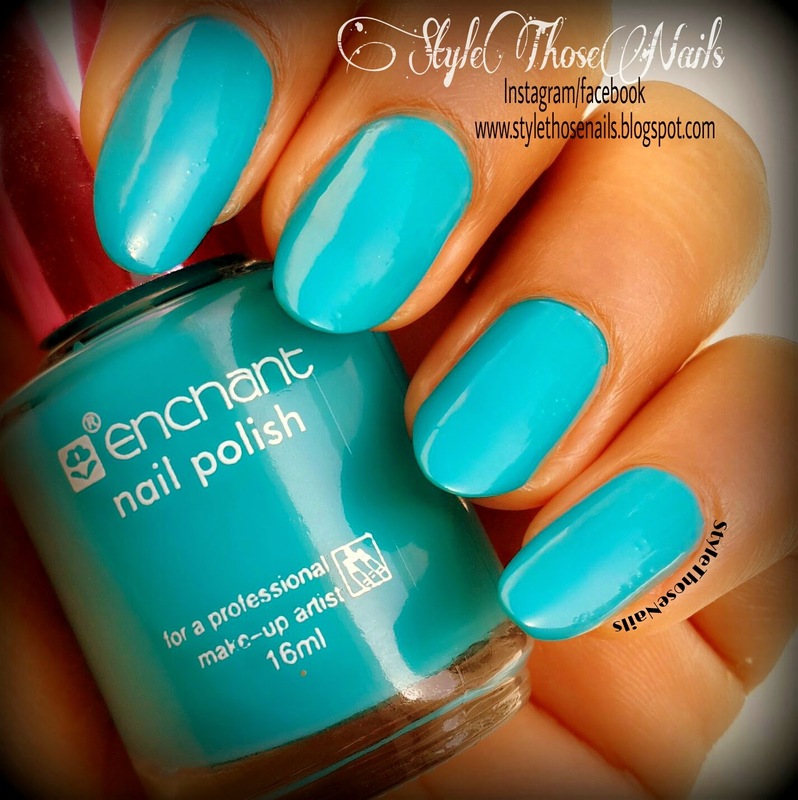 Style Those Nails: Enchant Blue Nail Polishes - No. 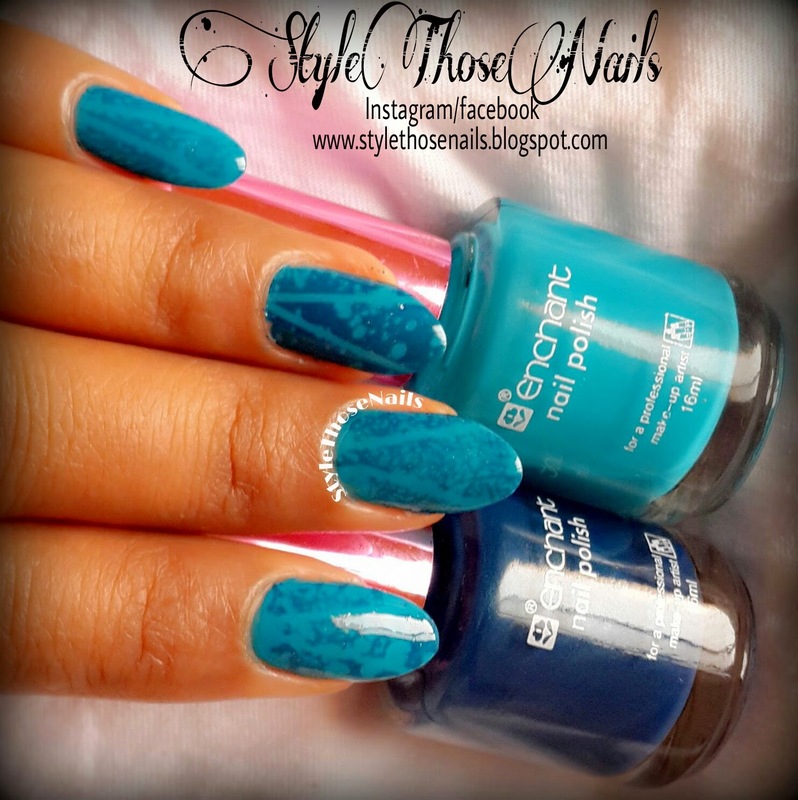 60 & 57 (from Qatar) and Water Spotted Nails using nail polish remover ! 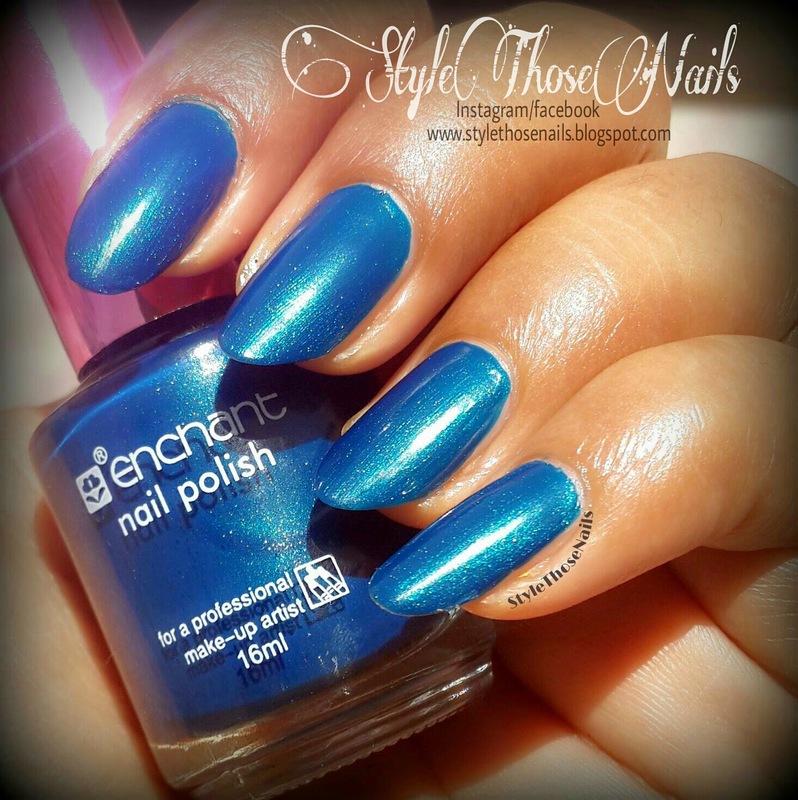 Enchant Blue Nail Polishes - No. 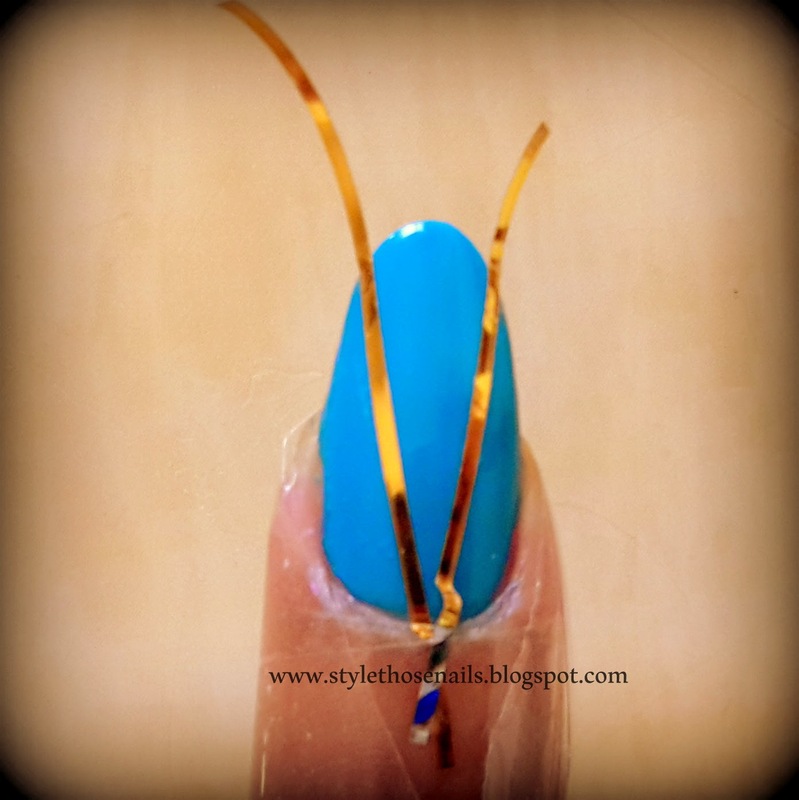 60 & 57 (from Qatar) and Water Spotted Nails using nail polish remover ! Next Enchant No. 57 is a lovely torquize blue colour. 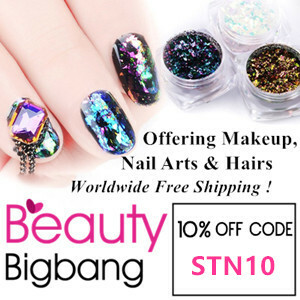 This color is glossy but don't have any shimmers. 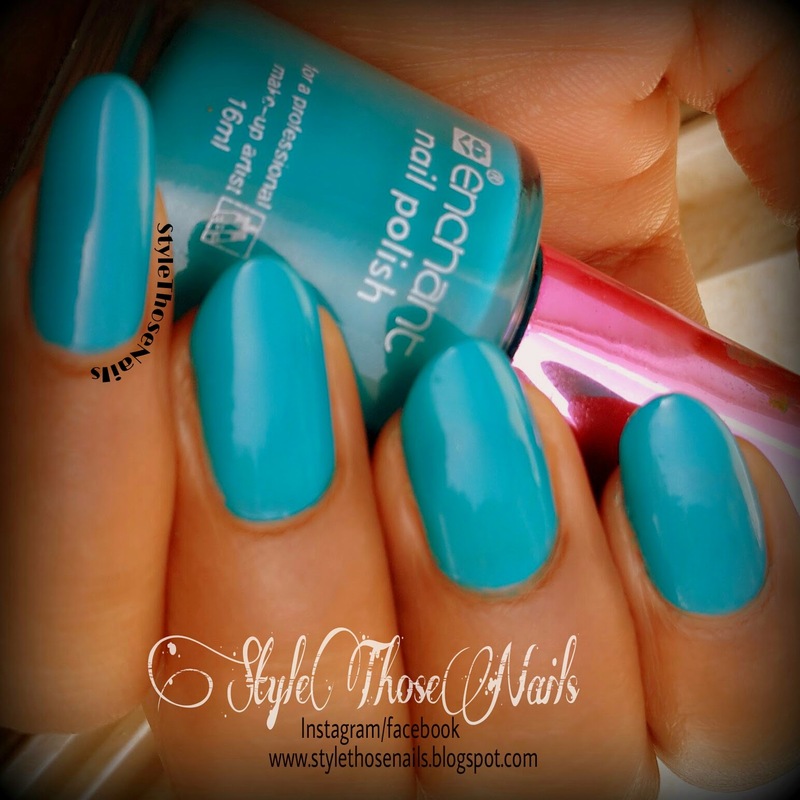 It is just perfect summer blue for me :) See the pics below. 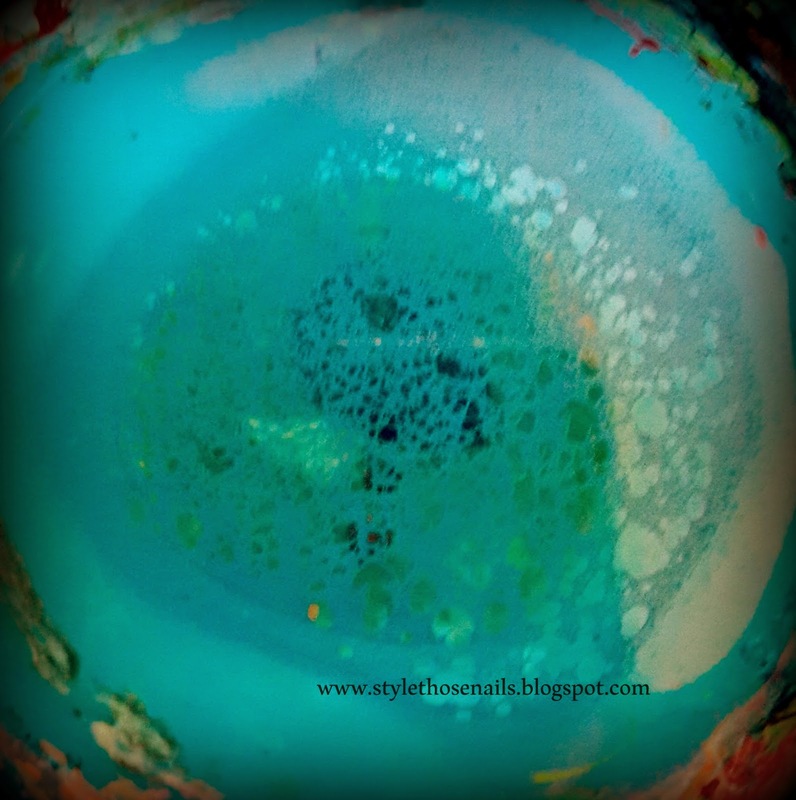 Staining- Yes I found No. 60 stained as I didn't apply base coat so base coat is important. Now my experiment. 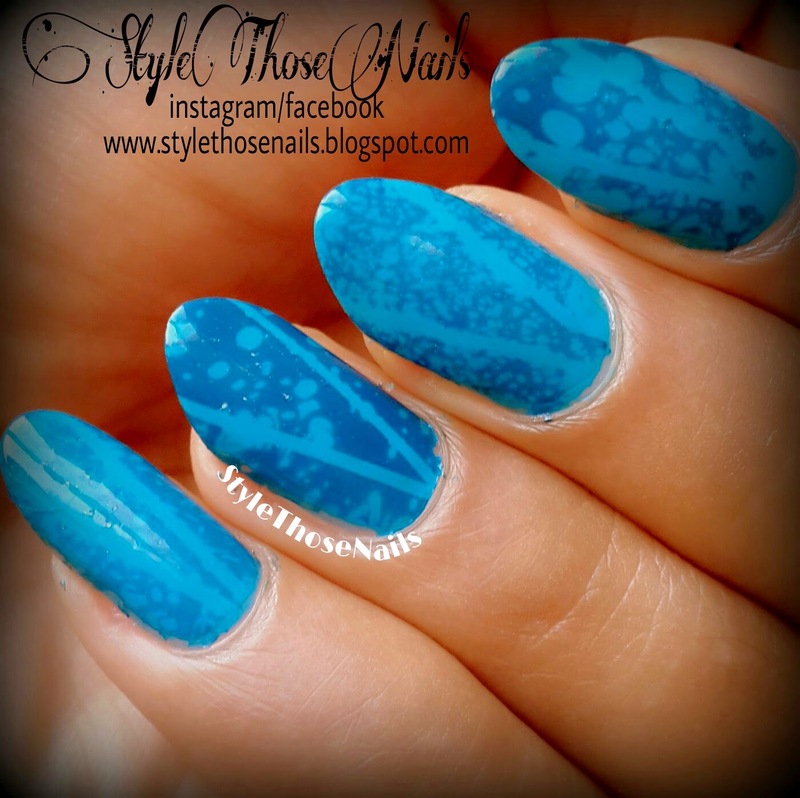 I did water spotted nails using above polishes. For those who don't know what water spotting is ? 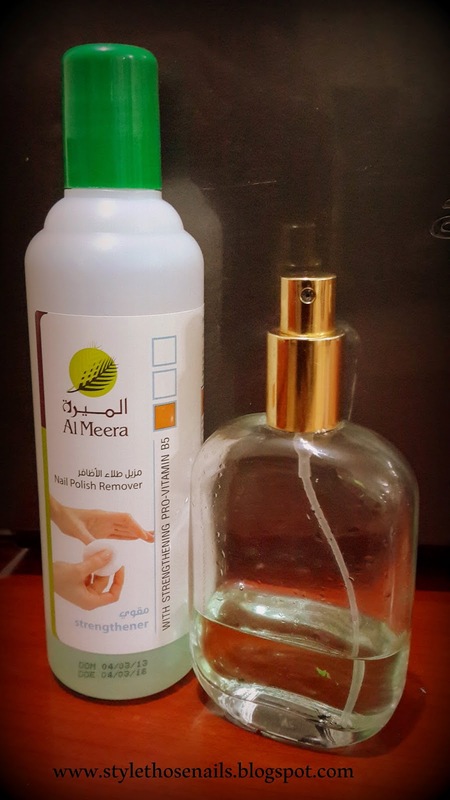 -It's a technique where polish is spread over water by putting few drops then sprayed with alcohol based spray like perfume, gel spray, hair spray etc. and you get a nice effect on water something like a net. But I used nailpolish remover and it also gave similar effect :D I always use a spray bottle to keep my remover as it is very easy to use and reduces wastage too. 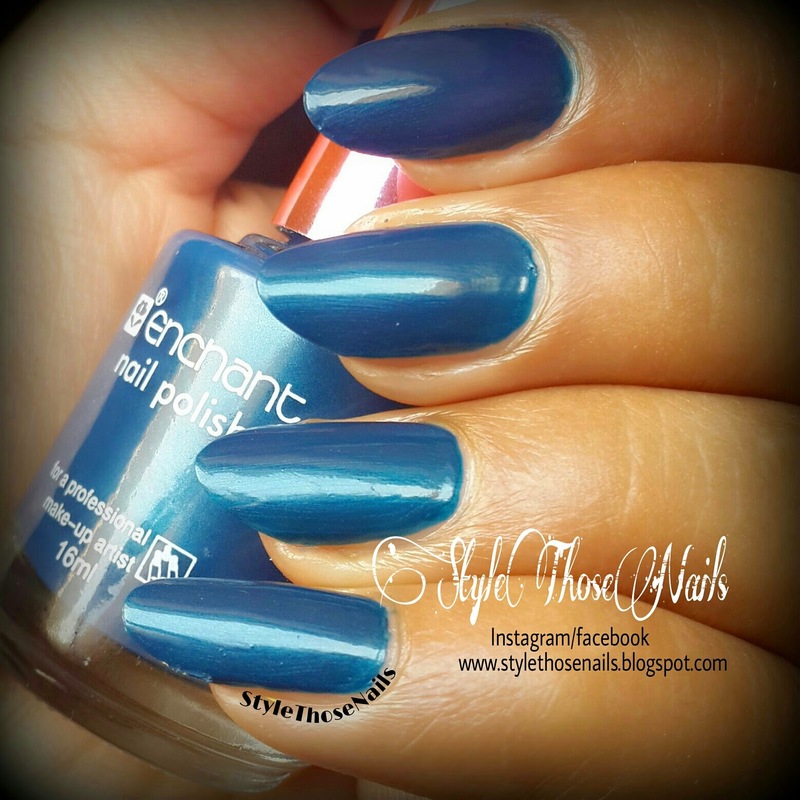 I hope you enjoyed these swatches and NOTD . I will be posting more soon so stay tuned.